Michael Franks salon is located on Strand Street Liverpool One. Our team of Colour Specilists, Hair Stylists, Make Up Artists, Hair Extensionists and HD brow Stylists are availible 7 days a week. Stockist of Label.m, Ghd, High Definition MakeUp, Colour Pact, Balmain and Racoon International hair extensions. Loved all of the little details that came with the salon. A gorgeous little cake and glass of rose whilst having my hair blown and the gorgeous head massage during the wash. Best experience in a salon so far and my hair/makeup was lovely. My hair stayed in for days and felt lovely. Thank you! It makes us incredibly proud to hear positives reviews like this how you’ve had the best experience in Michael franks, we will forward this review to our team! So pleased to hear our team looked after you on your visit, we will forward this positive review to our team! Excellent, very pleased as always, never been disappointed, highly recommended. So happy to hear you were pleased with your service and our team have never disappointed you, we will forward this amazing review to our team! Callum was really professional and very helpful throughout having my hair done would highly recommend this gentleman nothing was to much trouble. So pleased to hear our team were welcoming and helpful throughout the service! Full head foils and cut and blow dry. so pleased to hear you have returned to the salon and loved it even more! We will forward this amazing review to Oliwia! So pleased to hear you loved your hair up and had an excellent service! Chuffed with my transition from dark, though blonde to grey. Callum has taken on board what I want to achieve and always advises me on how I can get there. so pleased to hear you loved your hair transformation from dark to light by Callum! I love my hair and was really made to feel at home by Amy and the rest of the staff. A really enjoyable experience over all!! So pleased to hear you loved your hair and enjoyed your service in Michael Franks with Amy, its so lovely to hear she made you feel comfortable! A really positive experience. Callum guided me through the process with lots of knowledge and advice . Most of all I love me new colour and cut. So pleased to hear you had a great experience and Callum guided you through the process and gave you helpful advise! thank you for taking the time to review your experience in Michael Franks with Callum! So pleased to hear you liked your hair! Very pleased with my hair, I had a blow dry this time, I have to say every time I visit this salon everyone of the staff are lovely, very professional, I would definitely recommend this salon for all types of treatments it provides. 5 star. So pleased to hear you had a lovely experience in the salon and our team looked after you well! so happy to hear our team looked after you well and you left the salon pleased with your hair cut! So pleased to hear that you have returned to the salon and our team made you feel welcome every visit! 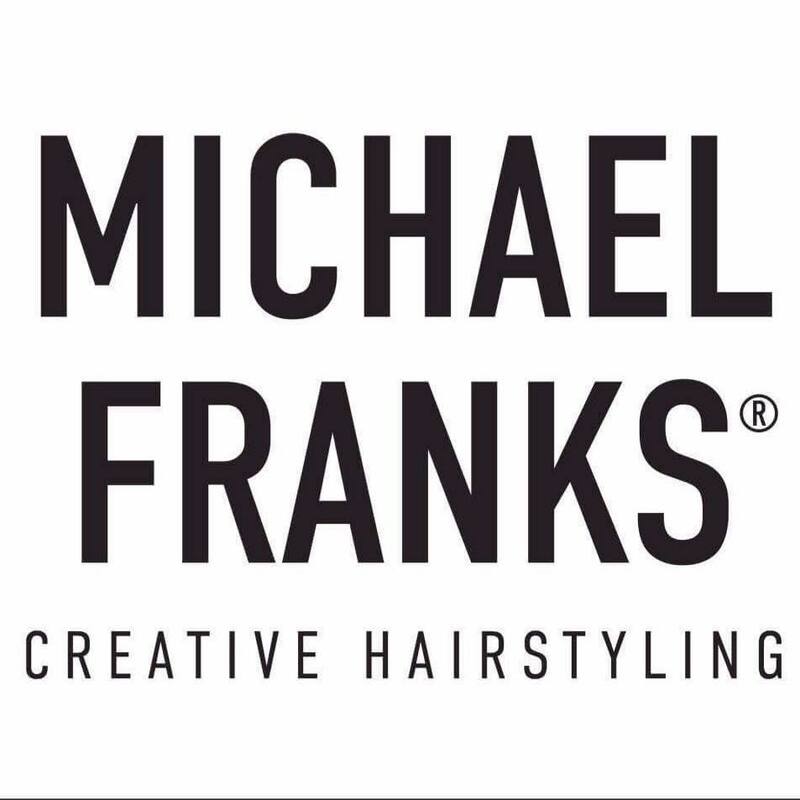 so happy to hear you have returned to Michael Franks and loved your blow dry every visit! Hayden did an excellent creative cut today, highly recommend him and the saloon. So pleased to hear Haydn did and excellent job with your haircut! So happy to hear you loved your hair by Kate! Amazing service, as always!! Professional and friendly staff and a really great atmosphere! so pleased to hear you had an amazing service and loved the atmosphere in Michael Franks! Michael is always lovely great hairdresser, wouldn't go anywhere else ! thank you for taking the time to write this amazing review! So happy to hear you have returned to the salon and you're a loyal client to Michael for your hair cut! So pleased to hear you have returned to the salon and have loved your hair every visit! So pleased to hear you love your hair!